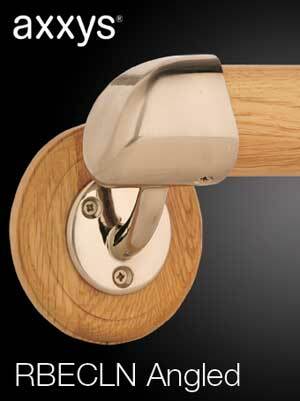 the Axxys range is now available in Brushed satin Nickel. 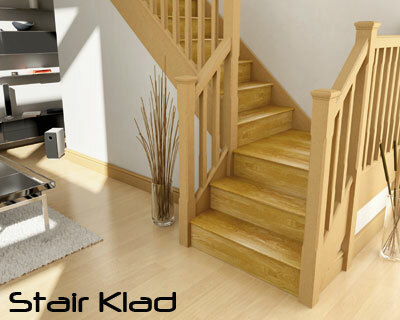 Call us on 01952 608853 for help with your order. 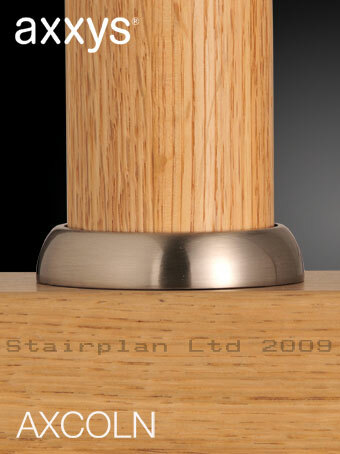 Axxys Brushed Satin Nickel Ball Newel Cap. 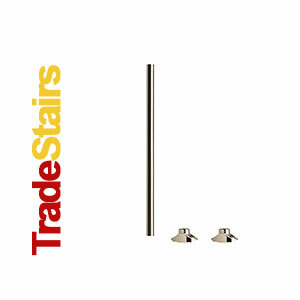 Axxys Brushed satin Nickel Newel Base connector. 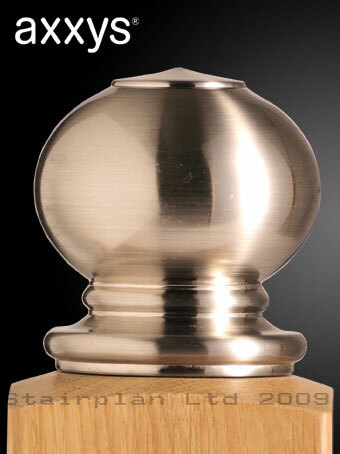 Axxys Brushed satin Nickel Tandem Cap connector. 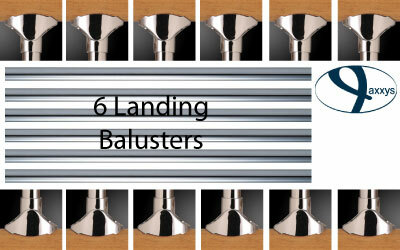 This connector is to be used with intermediate landing connectors. 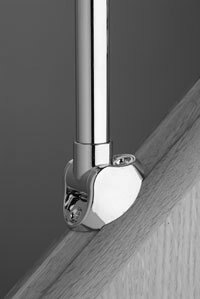 Axxys Brushed satin Nickel Horizontal turn handrail connector. 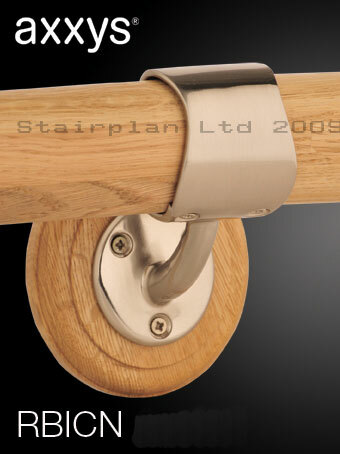 This connector is used on landing handrails . 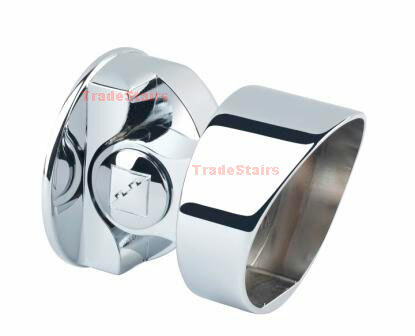 Axxys Satin Nickel Collet Fitting. 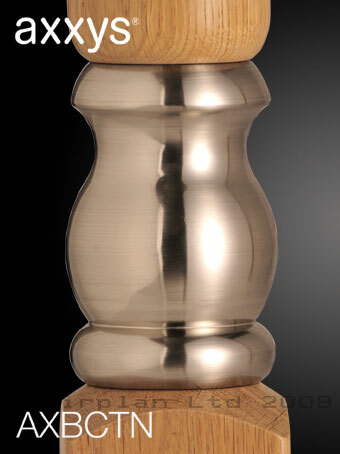 This Collet allows you to get a tighter return on a 180 degree landing return.. 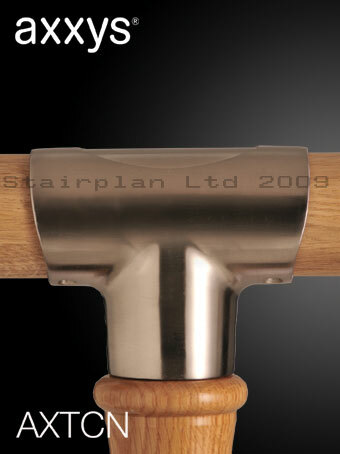 The Collet is fixed from the back of a newel post so it is NOT to be used with a patrice to terminate the handrail to a wall. 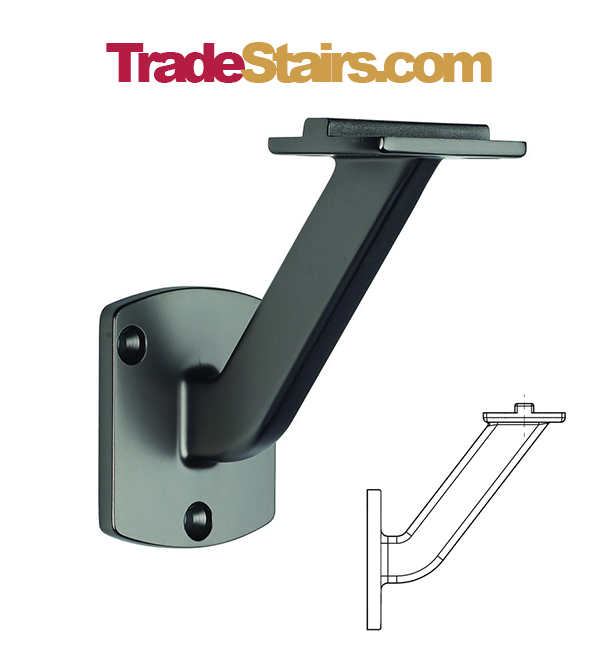 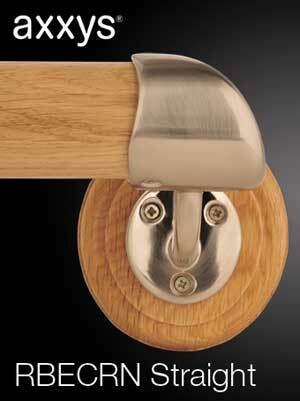 Axxys Brushed satin nickel Spindle Brackets per Pair. 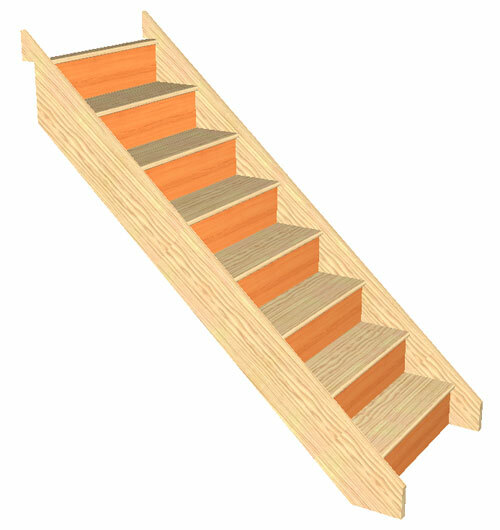 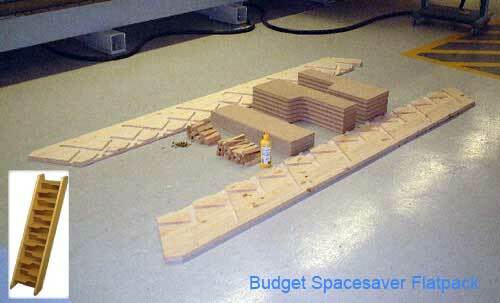 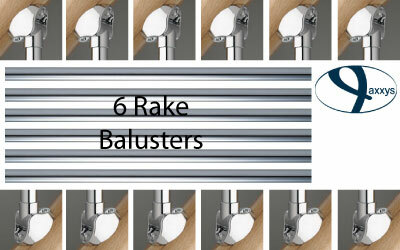 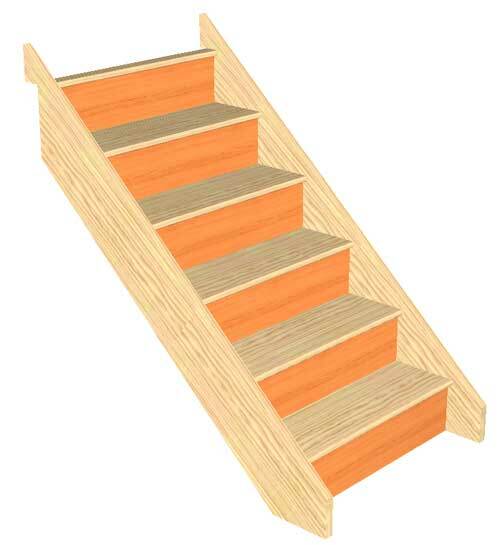 These are for use with the wooden spindles, for use on landing and raking balustrades. 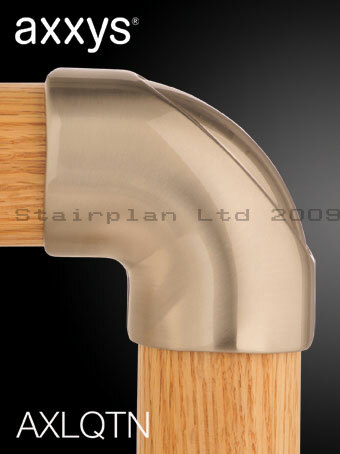 Note - The handrail has to be cut it cannot go straight through the bracket.